teleSUR speaks with Mary Phillips, one of the founding members of the Intersectional Black Panther Party History Project. 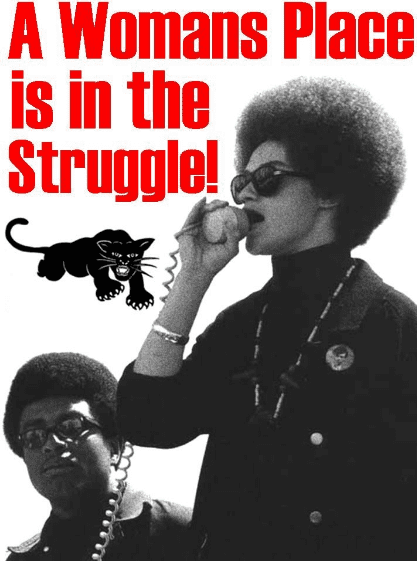 Women in the Black Panther Party were at the helm of most party activities. 25 Aug 2017 – When one looks back at the revolutionary Black Panther Party, one envisions iconic Black leaders sporting black berets and leather coats, with their rifles tucked on their side, mobilizing crowds on campuses and streets across the United States. This valorized masculine imagery served an essential purpose — projecting a strong front as the Black liberation movement geared towards bulwarking the Black community from state-inflicted violence and police brutality, the two main motives that led to the formation of the Black Panther Party. Mary Phillips, an assistant professor at the Department of African Studies at the City University of New York, or CUNY, shares Carson’s view. Phillips, one of the founding members of the Intersectional Black Panther Party History Project, also believes common portrayals of the group are one-sided. “The public image of the party was very one dimensional, there were men who were serving the breakfast, there were men who were teaching at schools, but the image portrayed is defined by the stereotypical standards of gender roles, that is not how it played out and that is not how the party functioned. Everybody did everything. The work was divided according to your skill sets for the most part,” she said. 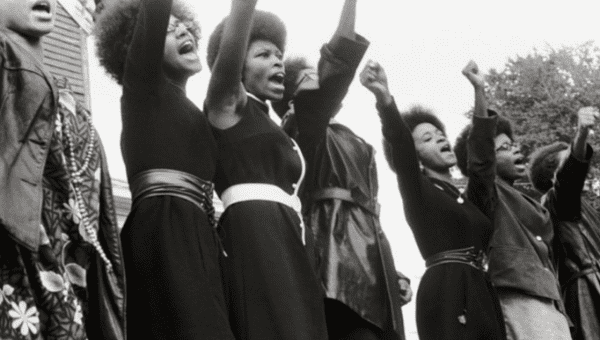 Women played a crucial role in shaping the Black power movement. But even though men in the group were portrayed as the vanguard, women in the party were at the helm of most activities. By the early 1970s, women formed nearly two-thirds of the Black Panther Party. They not only served important leadership roles alongside the men, such as state and national secretaries, chair positions and editors, but they were also serving essential roles, such as feeding children, ensuring that they remained in schools and strategizing to protect the neighborhood. “There were women in the party like Barbara Susan, who could shoot better than men, and there were women who were key philosophers, thinkers and strategists in the party,” Phillips said. Although women were assuming these far-reaching positions, at the core of it, unlike men, women in the Black liberation movement were fighting two battles. One that entailed a common shared goal of achieving political and economic equality of African-Americans and armed self-defense against police and state violence. Another was constantly challenging the patriarchal status quo that women navigated both within and outside of the organization. “When you look at the larger movements, like the civil rights movement, you see these deep discussions around gender politics within these movements, at one level, everyone coming to the organization brought in their own biases, in many ways, the organization was struggling with what the country at large was struggling with,” Phillips pointed out. Brown helped establish the first breakfast program in Los Angeles, edited the Panther newspaper and replaced Eldridge Cleaver as Minister of Information, later heading the party from 1974 to 1977. Huey P. Newton, one of the founding members of the movement, is known to have advocated for women’s equality within the movement. The movement also evolved as the leaders of the party showed solidarity and became allies of communist revolutions in Cuba, China, Mozambique and Vietnam. At home, they concentrated their efforts on creating health and education-based community programs, such as the Free Breakfast for School Children Program, liberation schools and the People’s Free Medical Centers. Mainstream media, however, failed to show this side of the Black liberation movement. “The humanity, the love, the concern and the desire to address various forms of institutional racism, colonization, patriarchy, imperialism and all of these major problems that were affecting the Black and poor communities were completely left out of media representation,” she said. The FBI Counterintelligence Program, COINTELPRO, that led to mass arrests and murders of male political leaders of the party exploited women’s internal contradictions along the lines of gender relations, roles and sexuality, according to the Intersectional Black Panther Party History Project. Black Panther Party certainly laid down the seeds for modern Black liberation movements, like Black Lives Matter, that continue to fight for the same cause as the 1966-formed Black Panther Party. “The legacy of Black Lives Matter is built on the Black Panther Party,” Phillips pointed out. It is hardly a coincidence that the contemporary Black Lives Matter movement is led by three women. “Women have been organizers of protest movements for a very long time, we could trace that back to the period of the antebellum era. We have always been there front and center, we are at the forefront of these movements, so we are these movements,” Phillips concluded.